Many financial planners and advisors will use the 9% rule – if you have debt which is charging you interest of more than 9%, you should direct as much of your income as you can towards paying down that debt. This means you should continue to pay your home loan as usual as it is unlikely to be charging you more than 9% interest in the current financial climate, and any personal loans you have are probably below 9% too. Instead you can focus your debt repayments on your credit cards as in the first point, after which time it makes sense to start looking at a savings plan. If you are going to save effectively while paying off your debt, you need to be getting the most out of the dollars you are directing towards a savings plan. Therefore, choose a high interest savings account which will give you the best return on the money you are able to put away. .
By depositing your regular savings to a high interest savings account, even if you have debt you are going to be able to earn a regular and attractive interest rate on your savings as the interest is calculated daily and compounds into a monthly payment. Even if the interest rate on your savings can’t top that on your home loan, it is sure to be higher than the balance transfer card you are using to pay off your credit card debt. Regardless of any debt you have you should be thinking about your future and about building a retirement fund. Retirement savings accounts and superannuation funds have different tax rates and can make your contributions go even further, even if you are also directing some of your income to pay off debt. In saving for your retirement you can also take advantage of employer or government contribution schemes which will match your personal contributions up to a certain amount. Therefore, make personal contributions to your retirement savings up to this amount, get all of the tax and government incentives you can, and you can still focus on paying off your debt while sticking to a savings plan for your future. There is no point in directing all of your income to pay off your debts if there is nothing put aside for the future. Therefore, don’t be in a rush to pay off your mortgage in lieu of saving for your retirement, because if you haven’t been contributing to your nest egg, it won’t matter that your nest itself is paid off. Lots of people would argue with the idea of saving money when you’ve got debt to pay off, but I think it’s a good idea. You never know when some kind of unexpected expense is going to pop up, and having some money put aside to cover it is better than going deeper into debt, in my opinion. I particularly like the 9% rule. That’s a good way to look at it, although I suppose you could choose whatever rate you’re comfortable with as the measuring stick. I think you’ve hit the nail on the head. It’s all about deciding what % is the unbearable debt. Obviously all of us would be happy to borrow money at 0% and we’re all reluctant to at 20%. The key is to figure out at what rate you can do something better with the money. If you’re confident you can make 8% in the stock market, it makes sense to borrow money at 4%. Just be sure to remember tax implications! Great post ! Saving is the only future solution’s for our life. It can help out if any situation comes in someone’s life. And yes, it will be little hard to starts saving while the debt is following next to life. Therefore, a commitment must be make on the spending habits. Moreover, the tips you had provided here are really informative. Thanks for sharing such lovely tips. I agree with Mike and with this blog. While it seems counterproductive to save money while you are paying off credit card debt, it’s a great habit to get into.Of course, you have to consider paying off the debt that’s at the highest rate, but tucking money away because you might need it more in the future is an effective strategy and a good insurance policy you may want to call on if and when you really need the money. 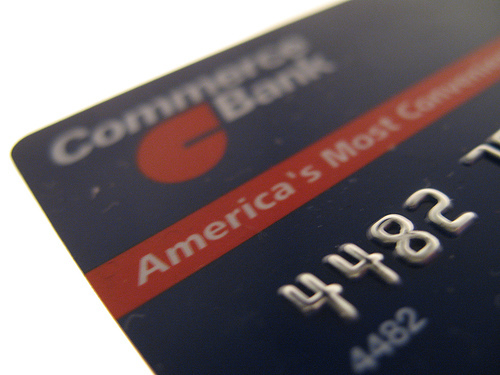 I use to be in the ‘consolidate debt with credit cards’ club in the past. Unfortunately, those days of 0% for 24 months are long gone. Plus, now they charge huge fees (5%) to transfer balances. Add that to the rate over a year and your rate is sometimes now more like 10%. I also got screwed when Chase took their minimum payments from 2% to 4% on my balance that was fixed for the life of the loan at 3%. Better watch what you do with credit cards cause they can change their mind anytime.